Thank you for considering our team for your child’s martial arts training. If you have experienced other youth martial arts programs, you will find that there are several things that are different here at KOA Team. If this is your first experience with youth martial arts, you may not have something else to compare with our program. In either case, this short letter is designed to explain our program at KOA Team and familiarize you with our approach to training your child. We have two children's programs - one for ages 5-8 (our 'keiki's' program); and another for our KOA 'Juniors' for kids aged 9~14. We recognize that our programs are not for every family. This information is designed to share with you the basic differences between our programs and other youth martial arts programs so that you can make an informed decision about joining our team. Brazilian Jiu Jitsu is also known as “BJJ” or Gracie Jiu Jitsu after the famous Gracie family that revolutionized and popularized the art. It is primarily a ground fighting martial art, or grappling art, similar to wrestling. There is a heavy emphasis on developing a positional strategy that consistently leads to an advantageous position. Proper position then allows the proficient practitioner to submit an opponent using either a joint lock or a choke. 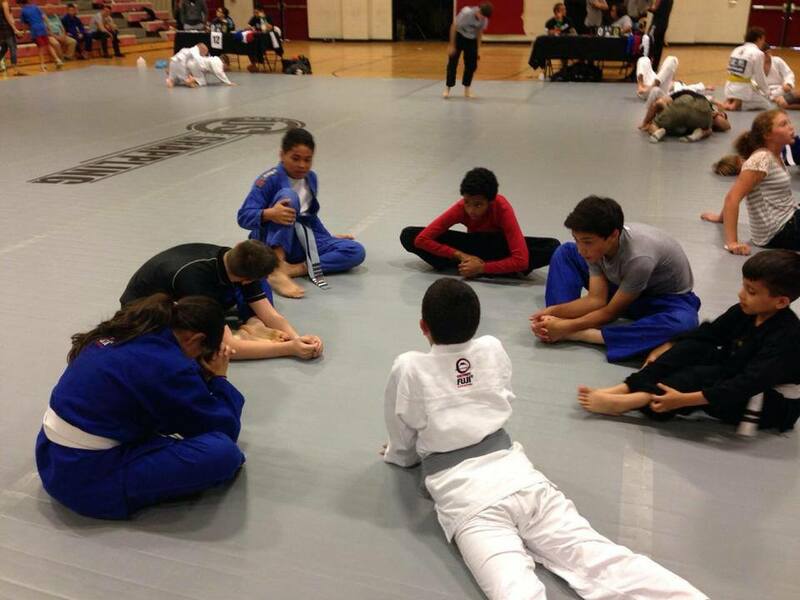 BJJ is a great physical fitness activity and a practical form of effective self-defense for children and adults alike. While our kids' programs incorporate several martial disciplines into your child’s training, BJJ or Muay Thai kickboxing are the primary martial arts your child will learn with KOA Team. Your child has the option to pursue training in either art exclusively; or in unique situations a child might train in both arts simultaneously. Muay Thai kickboxing originates from Thailand and is considered the most practical form of hand-to-hand striking combat and self-defense taught today in the modern, reality-based martial arts era. What is different about our KOA kids program? There are two primary differences between KOA kids programs and other youth martial arts programs. These two differences explain much of what you can expect at KOA Team and why. First, there are no tests, in the traditional sense, at KOA Team. 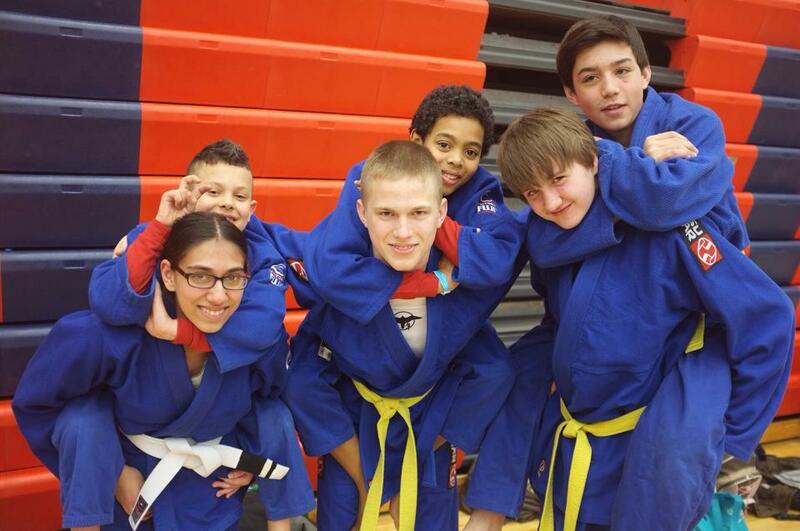 Second, we are less formal at KOA Team than you might expect from a youth martial arts program. What do these two differences mean? Not exactly… At KOA Team, the primary test of a student’s progress is the student’s ability to practically execute the techniques during live training with a resisting partner. At KOA Team, there are no formal tests; there is no rote memorization of techniques; there are no katas or memorized “forms”. Every student does not excel at the same techniques. Two students may reach the same belt level and each be proficient at very different techniques. This is the “way” of reality based martial arts. At KOA Team we strive to help your child find the techniques that work best for their body type and personality. Some children are aggressive and physical and this may lead them to develop a dominant “top game” (the execution of techniques from the top position) or attacking Muay Thai, other children may be more reserved which may lead to the development of a patient BJJ guard game (the execution of techniques from the bottom or “guard” position) or a counter-based kickboxing strategy. Each child is different… at KOA we seek to make every “difference” a strength. This process takes time, which requires patience on your part. In most cases, you will not see immediate results. In addition to the practical ability to execute techniques, our training is measured by time. Anyone can be very good at reality based martial arts if only they spend time on the mat. At KOA Team our motto is “discipline through training”. Far more important than tests is consistent training. At KOA Team we keep track of every class that your child attends. We have found through experience that time spent in class is one of the best indicators of a student’s progress. Rather than tests based on rote memorization, progress is best measured by the number of classes attended by the student. This is counter to what is often experienced in youth martial arts programs, but we feel very strongly about this measure of progress at KOA Team. We instill discipline through routine physical challenge. This is a time honored method of character development. If you have any questions on this philosophy, please ask Coach Kelly. What do you mean by a “less formal environment”? At KOA Team we have very little by the way of traditional martial arts formality, and you will find a generally more relaxed environment than you might find in a traditional Taekwondo, Karate, or Judo program. Coaches are friendly and approachable, but this should not be mistaken for a lack of discipline. Discipline comes through hard training. This style of teaching is not for every student so it is important that you evaluate our program honestly to ensure that it is right for your child and for you. We invite you to observe class or try a trial membership before committing to KOA Juniors. Consistent training is the most important aspect of progress. Everyone has to miss class sometimes and you will find that we have a low-pressure environment with regard to missed training. We want children to be very comfortable returning to class if they have had to miss for any reason. Despite our lack of verbal attention to a child’s absence, it is important for parents to understand that the primary measure of progress is time on the mat. We understand that everyone has other obligations in their life and we in fact encourage you to occasionally allow your child to miss class when they are “not in the mood”, but missed classes mean slower progress. This is not an issue for KOA Team, everyone progresses at their own rate, but we want parents to have a clear understanding that consistent training is most important way to ensure consistent progress. Please remember progress may be slow, measured in years – not months - but the payoff is immeasurable. BJJ belts and Muay Thai ranks are an inevitable outcome of today’s martial arts, but our goal at KOA Team is to reduce as much as possible the importance of the belts and ranks. We want your child to love training.Our goal is to instill a love of physical activity and of training hard and especially of learning. Belts are "A" measure of progress, not THE measure of progress. Thank you for considering KOA Team for your child’s training. Our passion is to change people’s lives through martial arts training. If you find that we are the right home for your family, we will be very happy to share the journey with you. If you find that our program is not right for your child, we still thank you very much for considering us and we would be happy to help you find the right martial arts program elsewhere in our community.